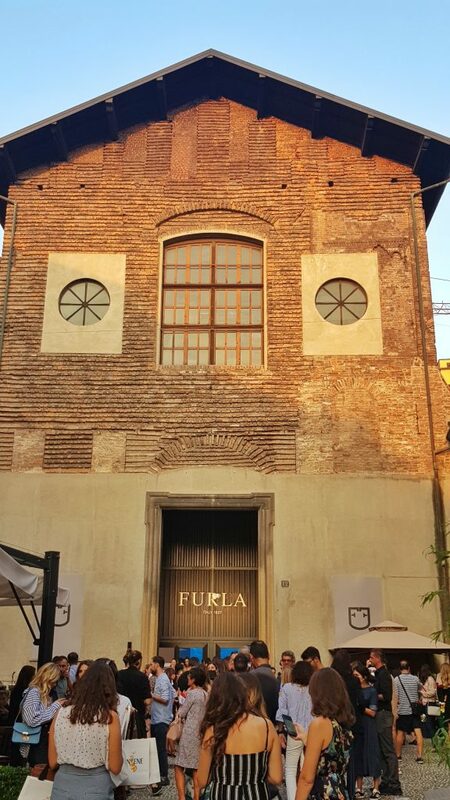 Furla had a great location for its Spring/ Summer 2019 launch this season. It was held inside an old church with a quaint courtyard that had touches of the Mediterranean (planter boxes with trees in the background not seen in the photo), apparently the theme and inspiration for next year’s Summer collection. 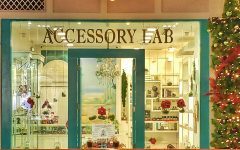 I was honestly expecting to be blown away, as I had been a few seasons ago with the creations of one of the nicest accessories creative directors in the industry, Fabio Fusi. Next, I was expecting more styles. 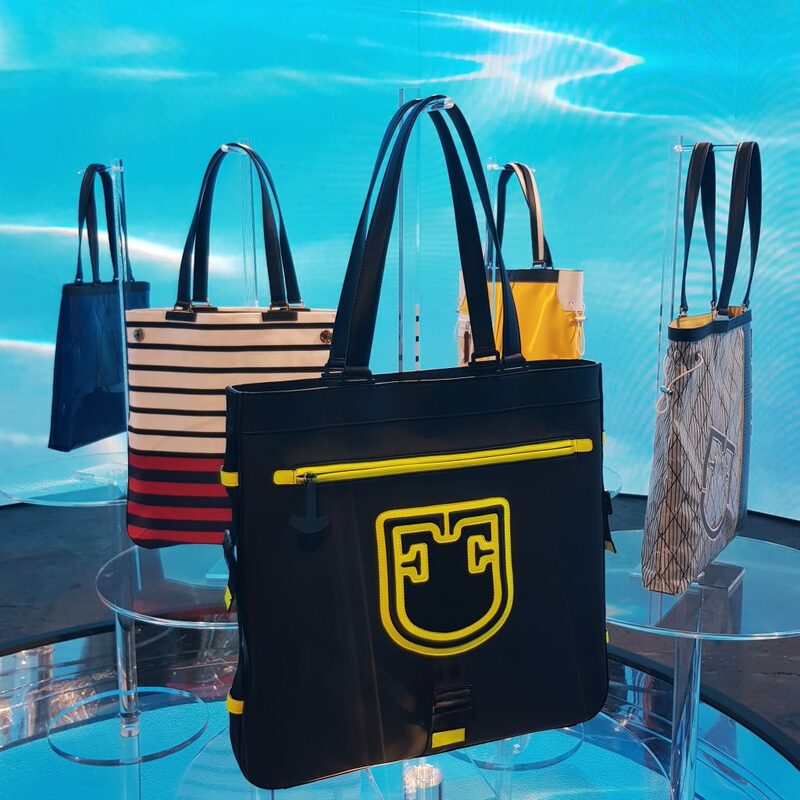 Instead, there were different materials used for one simple flat tote– from laser-cut leather to thick fabrics like canvas and neoprene. 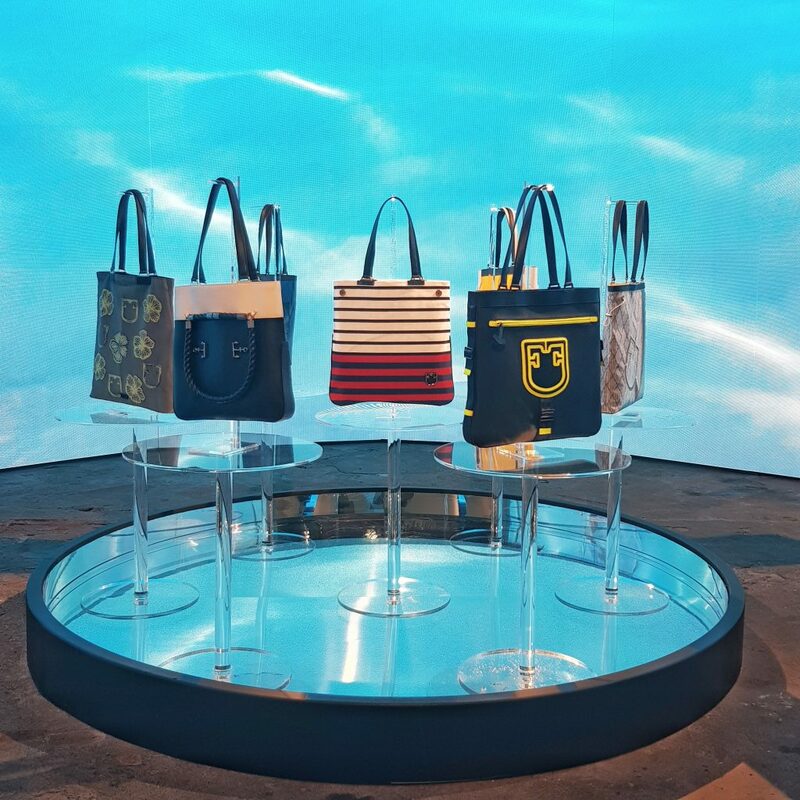 Some bags have a nautical theme, as shown by the nautical rope which was formed into the new Furla logo, as well as those navy nautical stripes. The logo of Furla is also somewhat meant to resemble a shield, something like an old family crest. But honestly, I still couldn’t help but think of it as the old Uber logo. 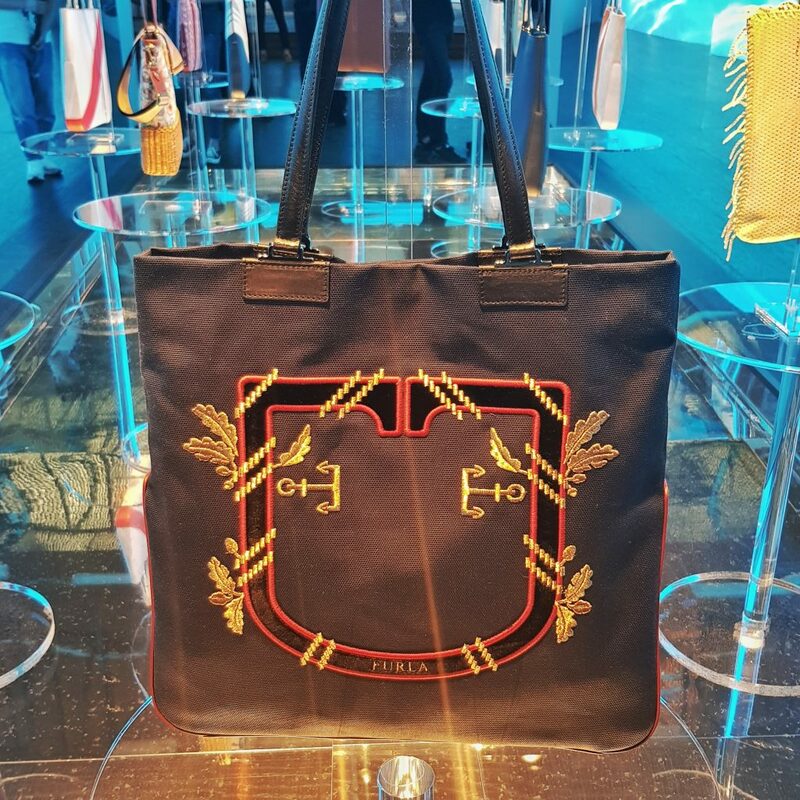 I am really disappointed in the Furla totes that will be available for Spring Summer 2019. 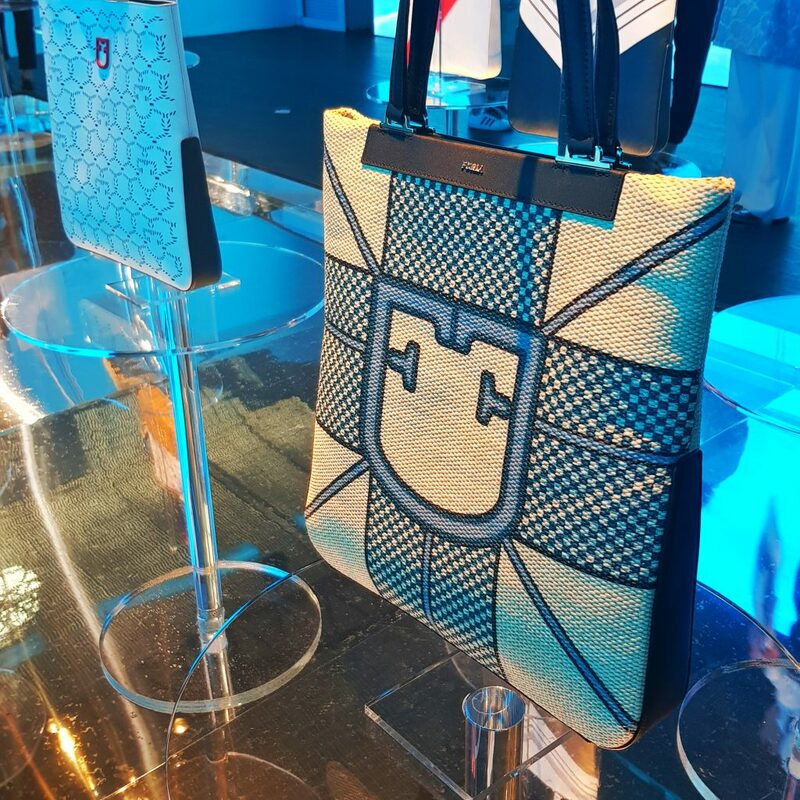 I yearn for that revolutionary period when Fusi decided to create the Candy bag, or the latter period when he used different colorful prints and fabrics for different sized Furla bags. Ah well, moving forward, I am hoping for a more exciting Fall Winter 2019 collection. This is just sadly not a collection that I like. How do you bag hags feel about this? 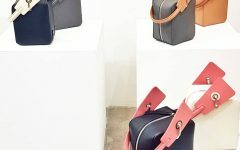 Ingrid, please do a feature on Tod’s bag from the Spring Summer 2019 that just showed in Milan. I saw a picture of what looked like an updated D bag and would like to see more from the collection.